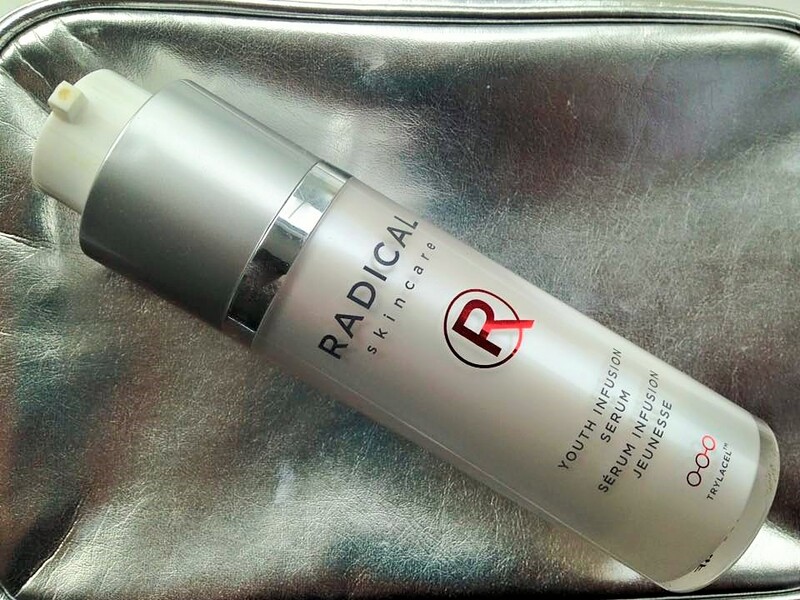 Its time to take the RADICAL approach to skincare……. I know that I Blog a lot about skincare, and just as every person is Unique, so is every skincare brand. 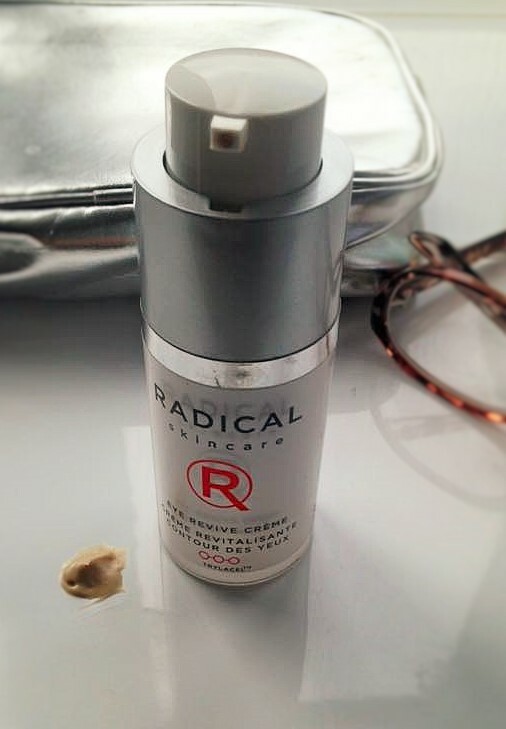 Radical skincare is not just one of those unique ranges, it is, in my opinion, amazing. Born out of necessity by its creator sisters, Liz and Rachel, these products have so much science and proof to back up their claims, a huge celebrity following and a positivity laden ethos, it’s a brand not to be missed. This beautiful range is so potent, has so much integrity and provides such amazing results, whilst being kind and gentle on the skin, that you may find yourself, quite easily becoming hooked. HYDRATING CLEANSER – This cleanser is quite simply one of the best cleansers I have ever tried and to be honest I am very fussy and very loyal to my cleansers. You see, a cleanser really does have to be the first step to your beauty routine, not just because it wipes away make up, dirt and grime, but it really needs to contain amazing skincare ingredient’s that promise to deliver results. I need a cleanser that looks after my skin from that very first moment. As a busy mum, I need my products to be multi-tasking from the offset and this really blew me away! Firstly, if the amazingly uplifting, bright, fresh, Happy scent of Mango, Papaya and Tangerine does not make you feel awake and happy then nothing will. The smell is beautiful, mouth wateringly beautiful! This Hydrating Cleanser contains high performance, active ingredient’s including Aloe and Grape seed which are used for their Anti-bacterial, anti-inflammatory and calming properties and Almond Milk which is beautiful at removing excess oils and residues. It also contains Mango and Papaya which boosts the radiance of the skin, removes dead skin cells, and gives a gorgeous natural skin glow and Tangerine which is a natural toner . Tangerine balances the skin and releases this beautiful happy oil. This mood enhancing scent, coupled with everything else gives you a really power packed cleanser! 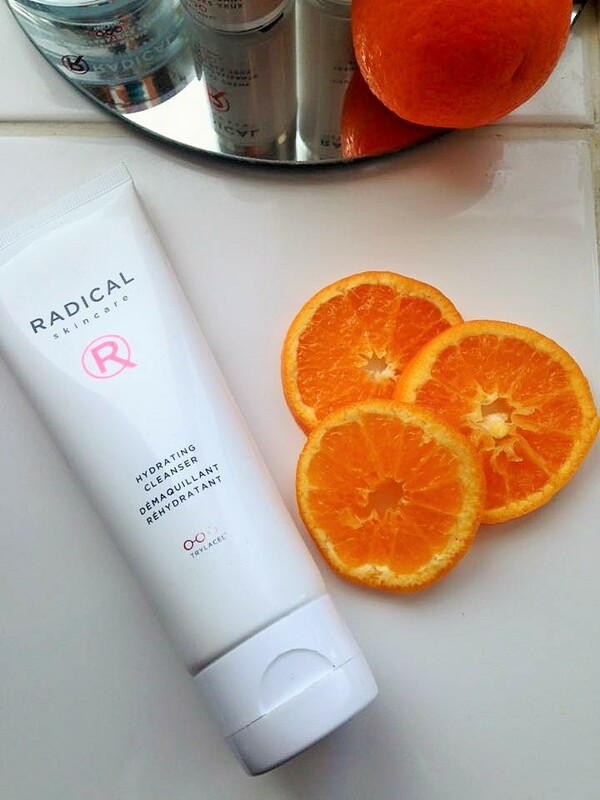 In a simple to use flip top tube, this pale orange cream cleanser delivers amazing results. I used a pea sized drop of product and gently massaged it in to dry skin, taking it over my eyes too as it removes eye make up. I then used a cloth and warm water and gently removed the product. I was genuinely amazed at how clean and glowing my skin was after. The amount of grime that had come off my clean-looking-skin absolutely astounded me. I truthfully have to say I am addicted to this cleanser, i also use it once a week as an intensive mask by applying a thick layer and leaving it to sink in. I really hope you get to give it a try too! Delivers amazing results for anyone that suffers from breakouts and sensitive skin. YOUTH INFUSION SERUM – After cleansing, and with no need for toning thanks to the clever ingredient’s in the cleanser, I moved on to the power packed Youth Infusion Serum. This was the product I was most looking forward to trying as my skin suffers from some dehydration now due to ageing and medication. Any time I can add an extra layer of hydration, I absolutely will. Using plant based stem cell technology and the maximum levels of Hyaluronic acid, this really does boost skin hydration. Opening the bottle is also a great little feature I love. It twists and pops up revealing the little pump spout that the serum comes out off. This is great as it keeps the product clean and untainted from the air, dirt and bacteria. One pump of this beautiful, lightweight, pale yellow, tangerine scented serum was enough to do my whole face easily. I used an additional pump for my neck and décolleté. It has a gorgeous slip factor and sinks in beautifully leaving a slight sheen to the skin. My skin felt soft, smooth and beautifully hydrated after use. Again I have never smelt such amazingly beautiful, uplifting scented products. The feedback for this product is stunning, the results that people have received using this product is outstanding. I really think it is one of the most amazing serums I have ever used. EXTREME REPAIR – This product is probably the most nourishing, rich, advanced, power packed moisturiser I have tried. If you have sensitive or mature skin that really needs an anti-ageing boost at the deepest level, then this is it. This is so power packed that personally for me, I preferred it as my night cream so that all the work could be done whilst I was sleeping. I found that if I layered it during the day, after all the other products, it was a little too much for my skin. This was because the two products previously mentioned are so hydrating they had replenished enough moisture into my skin. Using the Extreme Repair as a night cream however, I absolutely adored it. 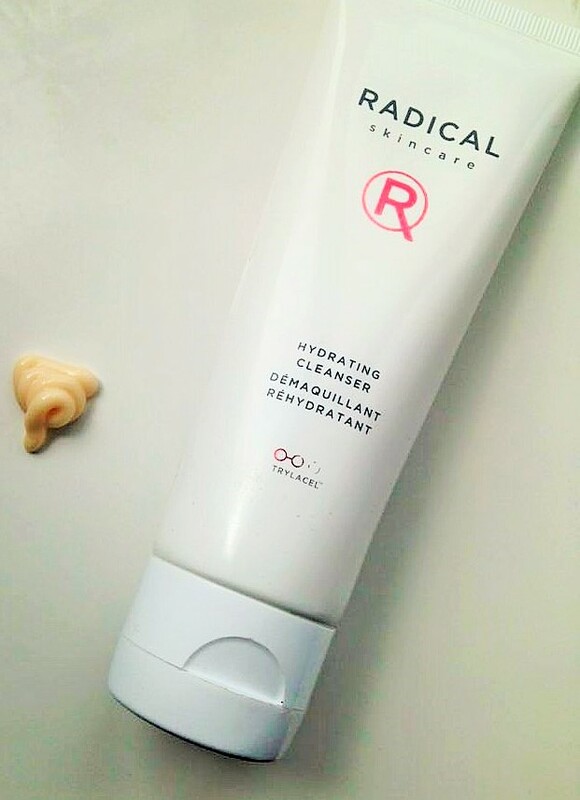 Packed full of 18 multi-active extreme firming and anti ageing ingredients, this is a powerhouse product. If you are serious about your skincare, or live in very extreme temperatures, have issues with skin tone and hydration, this promises to strengthen your skins barrier and control water loss for very dry skin. 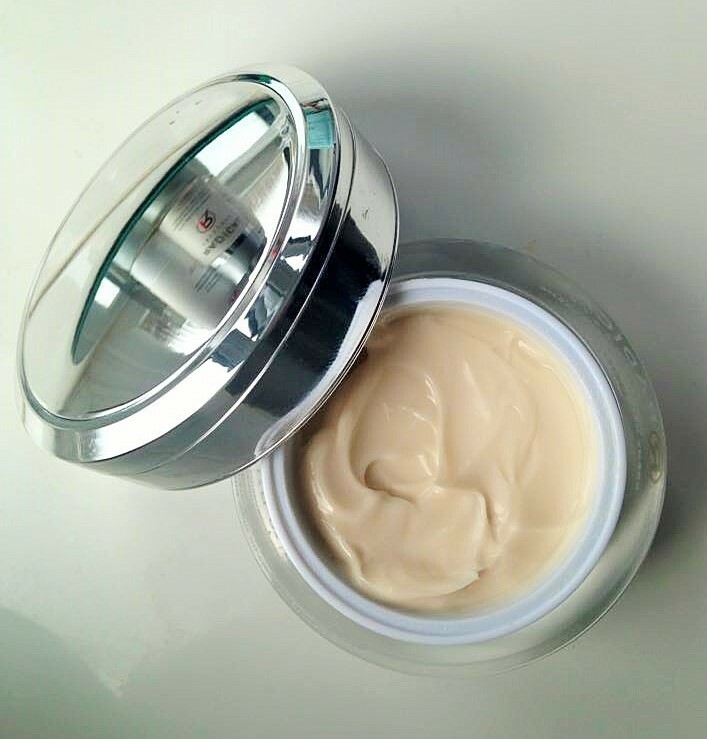 EYE REVIVE CREME – Another product that I am always interested in putting to the test is an eye crème, everyone wants their eyes to look as bright, fresh and lifted as possible, so as not to show signs of tiredness and ageing. Obviously I cannot lay claim to any results other than my own, however if you visit the Radical website, you will see some truly amazing before and after photos of this product. This 15ml Bottle really will last you a while as you need so little to benefit from the active ingredients. Containing Malachite, Green Coffee, Plant Stem Cells and Gatuline Flower extract this product aims to hydrate, decrease wrinkles, puffiness and dark circles over a period of at least 4 weeks. Putting this to the test I have to say it is a lovely product to use gently around the eye. It appears to have light reflective particles in because I noticed as soon as I tapped the product around my eyes they looked brighter. After a few days I certainly noticed less redness around my eyes and after a few weeks they appeared more youthful looking. Having used this range for a while now I have to say I am genuinely thrilled with the results from the products. My personal favourites are the Hydrating Cleanser and the Youth Infusion Serum, I saw such clarity, hydration and brightness in my skin from these two products alone that they are definitely a re purchase for me. They are also really helping with some pigmentation that I have on my face too. I know that for some of us skincare products can seem slightly pricey. However, if you suffer from dehydration, rosacea, acne, or pigmentation, if you have real confidence issue because of your skin, please invest in yourself and give this beautiful range a try. I am 40 and believe the earlier we can look after our skin and deal with our skin care issues, the less time we spend worrying and the more time we spend being our beautiful, bright, happy self. 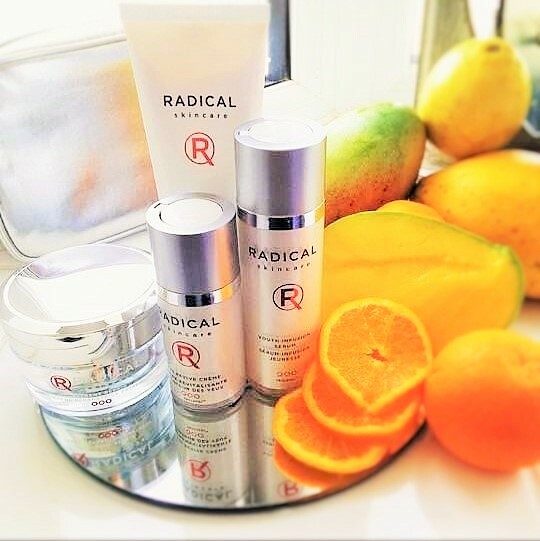 You can purchase any of these beautiful products direct from Radical however I have noticed some amazingly priced sets and individual items on Qvcuk. Thank you for reading, I would really love to hear your thoughts on this range! "Judith Williams Beauty Institute – Brand new product launch!" "SBC Brand New Product Launch, The New Honey Range! Shower Cremes and Scrub!"